Corruption-related charges against U.S. Senator Robert Menendez, a New Jersey Democrat, could come as soon as this week, sources familiar with the investigation tell NBC 4 New York. 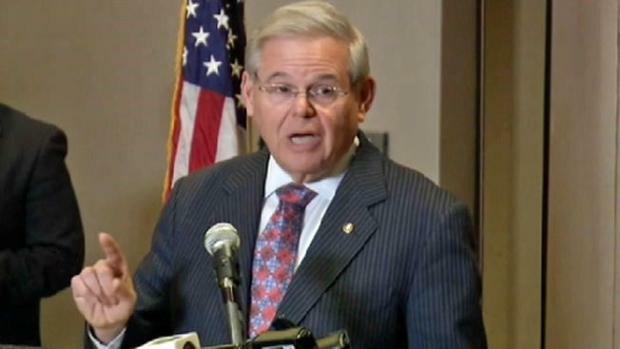 Both Menendez and Melgen have denied any wrongdoing. Speaking with reporters Monday after an unrelated press conference, Menendez reiterated that he has done nothing wrong and bemoaned the leaks about the investigation in the press. "I'll say the same thing that I said two weeks ago when there was a different press report and that is that I have always acted appropriately and legally," Menedez said. Criminal charges against U.S. Sen. Robert Menendez, a New Jersey Democrat, could come later this month as a federal grand jury continues to hear evidence in the case, sources familiar with the investigation tell NBC 4 New York. Chief Investigative Reporter Jonathan Dienst reports. Sources said the Justice Department has been attempting to get Dr. Salomon Melgen to flip, but one of his attorneys Monday said the eye doctor is not cooperating with the FBI. Officials familiar with the investigation said Monday charges could come soon but would not say if they will happen this week. Spokesman for the Justice Department and the FBI declined comment. Menendez said anyone who cares about justice should be concerned about leaks. "You have to wonder when there is a violation of the law and no one seems to be obsessed with the question of that violation of the law," he said regarding the leaks. "So all I can say is that we will respond to any issues, any inquiries, any allegations, when and if the time comes." Investigators have said they are also looking into the senator’s relationship with two fugitive Ecuadorean bankers living in Florida. Details in the case are still being ironed out, one source said, so a decision to press charges could still be pushed back a week or so.